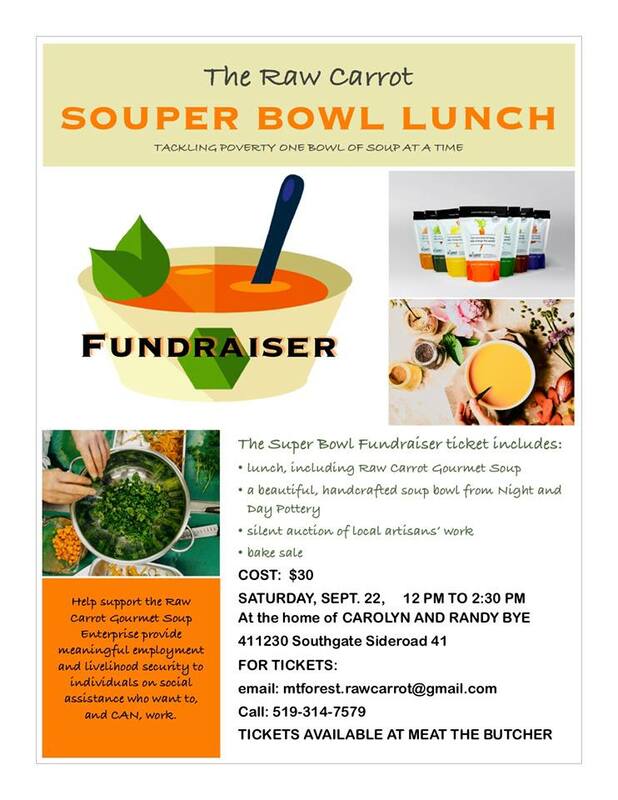 The Raw Carrot Mount Forest is having a Super Bowl Lunch Fundraiser on September 22, 2018. See the poster for details. Ticket price includes a handmade soup bowl, designed and produced by local pottery workshop Night and Day Pottery. Mark your calendar now!